The supply of goods and/or the performance of services by TechSolvers is subject to the following terms and conditions. When you purchase or receive goods and/or services from TechSolvers, you irrevocablly accept these terms and conditions. Unless otherwise agreed by us prior in writing, these Conditions apply to all provision of services and goods by us to you and cannot be varied amended or supplemented by any other terms and conditions. 2.1 Quotes given verbally by TechSolvers are intended as a guide only. Verbal quotes are based on limited information provided by the customer and do not constitute an assurance that the service or product will be sold or supplied at that price. TechSolvers will attempt to inform their customer of all price options prior to starting the work based on the information given by the customer. 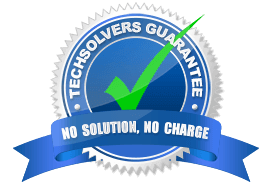 2.2 Written quotes given by TechSolvers guarantees that the service or product will be provided at that price. Written quotes are valid for a period of 14 days. 2.3 Pricing communicated on advertising is valid only for the period stated on the advertising material or at the date of publication and may or may not be honoured at the discretion of TechSolvers. 3.1 Payment for goods and services must be made by cash, credit card, PayPal, ApplePay or AndroidPay. Credit cards that are tapped, inserted or swiped will attract a Merchant Service Fee of 1.98878123%. Credit cards that are keyed in manually will attract a Merchant Service Fee of 2.30179029%. PayPal payments will attract a Merchant Service Fee of 2.6% + $0.30. 3.2 Unless otherwise agreed with TechSolvers, all visits are chargable. Charges are applied in quarter hour units. 3.3 We will advise as early as possible if there is a change in the costs incurred by us relating to the goods or services. We reserve the right to change the price charged in such an event. 3.4 Our Primary Service Area includes premises located in the Sutherland Shire, St George and neighbouring suburbs within a 10km radius of Sutherland. An Extended Service Area Surcharge of $15 per visit is applicable for customers not located within our Primary Service Area. A full list of Service Area postcodes can be found on our Service Area page. 3.5 A 50% surcharge applies for visits outside of our standard business hours (i.e. Public Holidays and after hours). 3.6 In the event that you fail to pay for goods or services invoiced by the due date, we will charge you interest on the due sum at the rate of 11.5% calculated monthly until paid in full. We may choose to cease or suspend the provision of further goods or services to you until due sums are settled. 3.7 All goods remain the property of TechSolvers until amounts payable to us are paid in full. You are responsible for all insurance for damage, theft or otherwise in respect of the goods immediately upon delivery of the goods to the premises nominated by you. 5.1 We will make every attempt possible to complete the work onsite however it may be necessary to return your system to our base for repair. 5.2 Dates stated by TechSolvers for the delivery of goods or services serve as an estimate only and is not a contractual commitment. 5.3 Technology can be very complicated. You acknowledge that problems can sometimes be more complex and involved than initially diagnosed. 5.4 We may repair goods with refurbished parts rather than repairing the faulty part. We will let you know if we choose to do so. 5.5 Loss of data is always a risk when repairing goods. 6.1 If we are unable to provide a solution for your problem due to insufficient technical expertise, we will not charge you for the service as per our “No Solution No Charge” guarantee. If we advise that the solution requires that you replace your software or hardware and you choose not to follow this course of action, you recognise that we have met our commitment to provide you a solution to your problem, whether or not you choose to go ahead with that solution. 6.3 If goods are provided to repair which are determined to have pre-existing damage or other problems, you acknowledge that we cannot assume responsibility for any resultant damage or problems. 6.4 We shall honour all terms, conditions and obligations as applicable by State or Commonwealth laws concerning the supply of the goods and/or the performance of the services. These Conditions do not seek to limit, modify, restrict, or exclude such terms, conditions or obligations. Our warranty and guarantee supplement your statutory rights and remedies only. 7.1 Unless otherwise agreed in writing with TechSolvers, you must ensure a person of at least 18 years of age is present. 7.3 You must provide our technology specialists with any necessary passwords. 7.4 Unless otherwise agreed in writing with TechSolvers, you must provide our technology specialists with original installation disks and product keys for any installations.